Dr. Mutell’s experience as a chiropractor and a member of sports medicine teams at national and international sporting events provides you with a high level of chiropractic care. Injuries as a result of automobile or work related accidents and are successfully treated daily in my office. You don’t need an attorney for these cases but if you do, we can help direct you to an attorney with expertise in personal injury law. 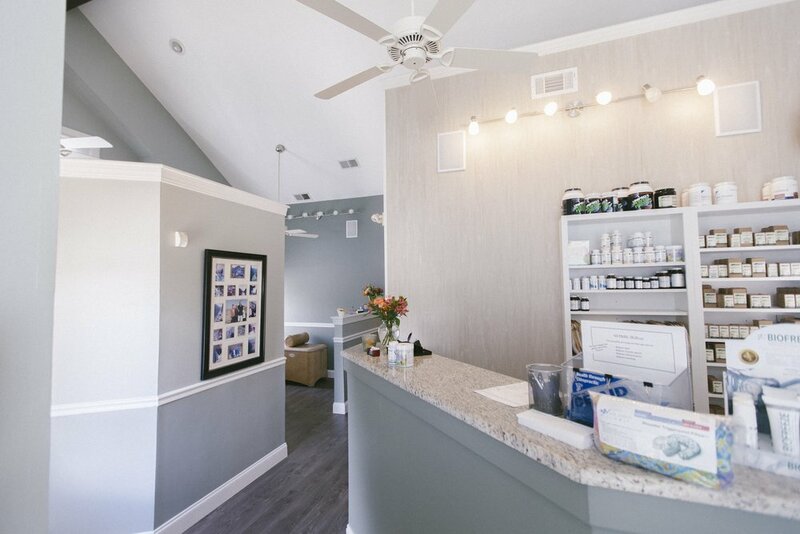 You have freedom of choice to select your treatment. So even if you have seen another doctor or have been to the hospital, you have a right to seek evaluation and treatment in my office. Our office will deal directly with the responsible insurance company for payment of treatment. We will verify your benefits in advance to ensure you have all the information available to make an informed decision. We accept all major credit cards, debit cards, checks and we can help you use your Health Savings Account if appropriate. Special arrangements will be made for patients without insurance coverage. As you can see, we do a complete and thorough evaluation to ensure the best possible treatment recommendations.We will provide a complete and thorough evaluation of your area of concern. Family health history, personal health history and current health concerns are all valuable parts of the process. An orthopedic, neurological and chiropractic examination will be performed. We have in-office x-ray with instant digital x-ray pictures so you don’t have to wait for results. We have a working relationship with MRI and CAT scan centers if they are needed for additional evaluation. We can order diagnostic lab work if needed. Standard urinalysis is also available to help screen for potential kidney involvement which may be similar in symptoms to low back pain. Chiropractic is a safe, gentle, hands-on approach to helping restore normal function to joints of the spine. 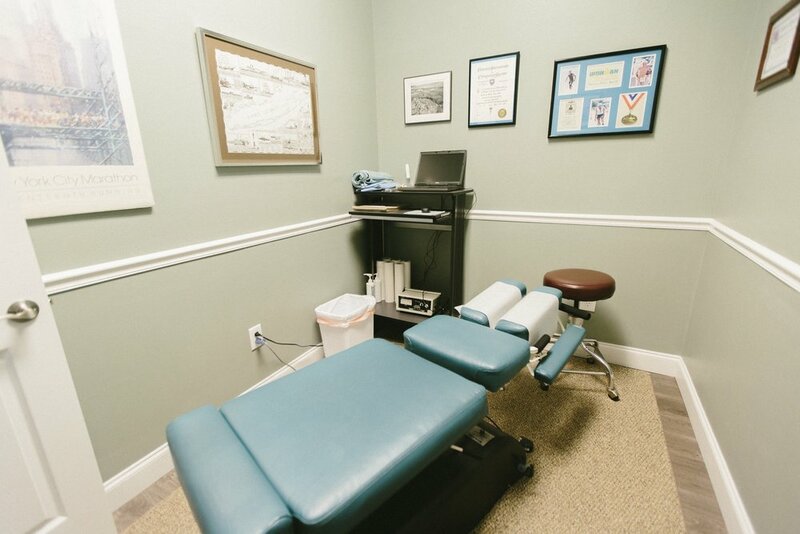 We will also utilize physiotherapeutic modalities such as: traction, muscle stimulation, ultrasound and soft tissue techniques to help provide pain relief and speed and support healing.extremities. Many people have heard that Chiropractors “snap, crack or pop” the joints. This sounds painful and it is not a good description of what is being done by what Chiropractors refer to as an “adjustment”. There are multiple ways to adjust the injured and involved joints. The best method will be chosen to provide you with safe, gentle and effective treatment of your injuries. At-home recommendations for proper stretching to restore flexibility and strengthening exercises designed to provide you with maximum benefit with the least amount of effort will be provided. Low Level Laser Therapy (LLLT) has been used worldwide for over 40 years to relieve pain, remove scars, heal wounds, regenerate nerves and solve addictions. On January 17th, 2002, the first U.S. Low Level Laser Therapy (LLLT) company, Erchonia, the laser you’re being treated with, received FDA clearance through clinical trial. The study took 100 patients complaining of Neck and Shoulder pain. Half were treated with a useless red light (placebo group), similar to that on a computer mouse or grocery check-out, and the other half received LLLT. The treatment group beat the placebo group by 66%! That’s 66% faster relief and more complete relief, a remarkable margin. Such a study is known as “double blind” research, and is the gold standard for measuring the validity of a therapy. Similar studies have been passed by the FDA for Carpal Tunnel, Wounds and Scar Tissue. There are over 2000 published studies on LLLT reporting zero negative side effects. Visit www.Erchonia.com for in-depth research. In a nutshell, Low Level Laser Therapy (LLLT) causes tissues to heal faster – muscle, skin and nerve – 66% faster according to the above FDA study. Specifically, LLLT works at the cell level. Human cells produce a chemical known as ATP (adenosine tri-phosphate) to run the body and heal tissue. All of our body’s activities result from the use of ATP, it’s like gasoline to a car. LLLT stimulates a micro-structure within the cells called the mitochondria (nicknamed the “powerhouse” because it produces ATP) to produce slightly higher amounts of ATP. Thus with more ATP at the cell level, tissues heal faster, and therefore relief comes quicker. Conditions and Symptoms As is true of many alternative therapies, you may receive alternative benefits to being treated, in addition to what you wanted fixed in the first place. This is because the ATP being produced is “systemic”, meaning although we’re focusing the laser on a particular area, the ATP is ultimately being sent throughout your entire body. The list of symptoms responding to LLLT is growing, and more valid research is being performed on a daily basis. 4-12 treatments are necessary to begin the healing process of tissue, although in some cases relief can begin immediately. Maximum treatment would be 1x per day per area, minimum would be 1x per week to still see results. Multiple areas of complaint may be treated. This treatment cycle may need to be repeated, and eventually spread out.